that is (micro)second to none. Imagine a piece of software built from ground-up for high performance and long term numerical stability, that is engineered to take full advantage of the powerful system-on-chip powered hardware. And imagine that is not all. A software that unites the latest advances in graphical user interface technology with the unrivaled interactivity and flexibility. Would it not be a gem of software engineering that is as logical as it is intuitive to use? a) the Control Center where all the modeling and testing takes place b) the blazingly fast Compiler that converts models into processor readable model description and c) the proprietary Processor with ultra low latency and unprecedented execution rate of converter and microgrid models? Imagine no more. A trailblazing interactivity, a user centric feature set and a rock-solid numerical stability is now within reach. In fact, it is already an indispensable tool for all organizations who care about quality assurance processes that lead to customer satisfaction and sustained financial performance. Moreover, it is not just that all the tools are in the same place. All the tools are from a single company. They are fully tested for compatibility, made to run perfectly together and are evolving with only one aim: your full satisfaction. 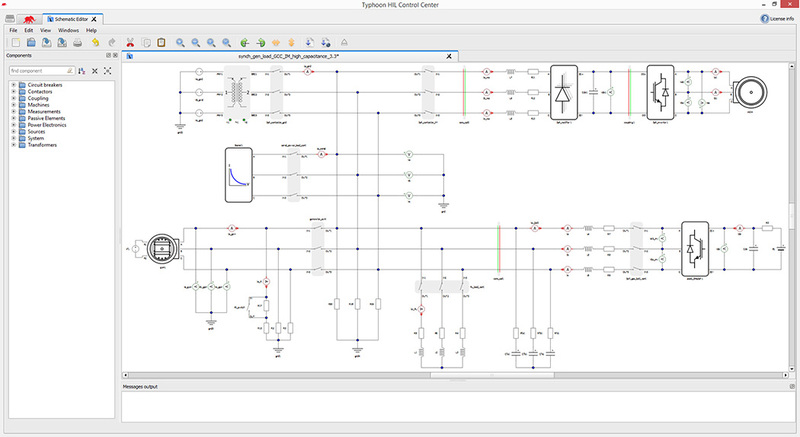 Schematic Editor with the rich library of switching components, passive components, sources and signal processing components that you need to model any converter or microgrid. The HIL SCADA that interacts with the HIL without interrupting its operation. The signal visualisation tools like Scope and Capture. 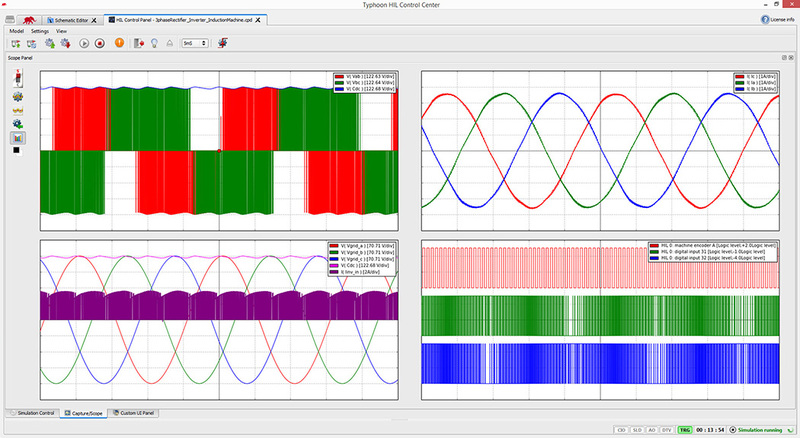 The Script Editor (with the graphical programming feature) to help you develop converter and microgrid test scripts. The Test Suite for converter pre-certification toolbox according to BDEW FGW TR3, IEC 62116, EN50530, UL1741 and Rule 21. What comes first, interactive testing or test automation? A true measure of the power of a test system is the effortlessness with which it gives you the results that you are looking for. And the surest path to effortlessness is the interactivity. So, what do we mean by interactivity? 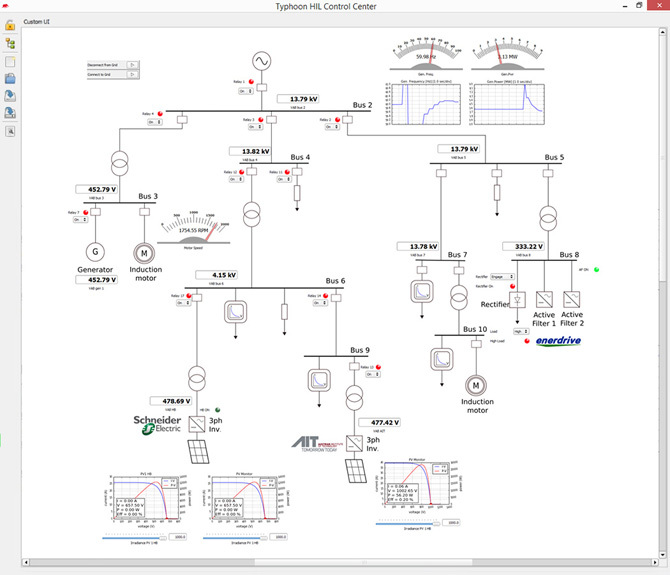 Interactivity is the freedom to set up your SCADA while your HIL simulator is running. 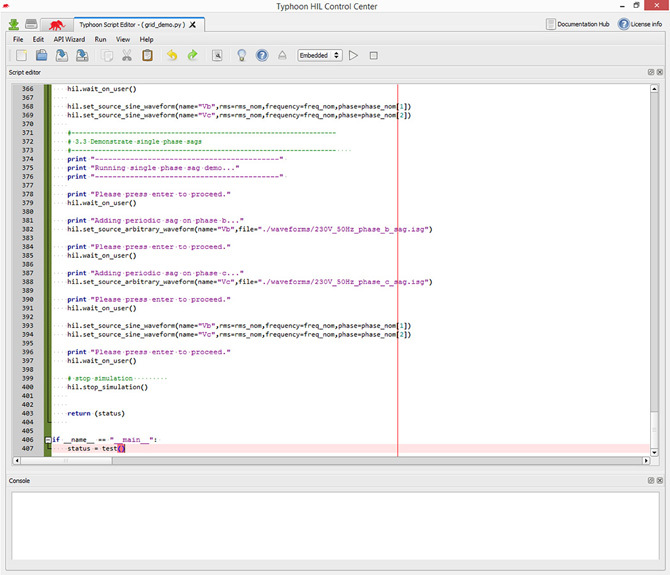 Change SCADA parameters, enter disturbances into the circuit, write test scripts in Python while your HIL is running. Operate relay protection while your HIL is running. Operate communication while your HIL is running. Startup and shutdown converter controllers while your HIL is running. Then, once all the questions have been answered you simply engage the fully automated mode of testing. It is when you send your converter to certification that all your hard works either makes it or breaks it. If you operate on a global scale, constantly evolving grid codes that differ among countries or even among states make the certification process even more challenging and, if anything goes wrong, very costly. That is why a customer centric piece of software makes sure you can elegantly overcome this challenge. TestSuite, verified by , gives you your very own in-house pre-certification body. With a growing selection of standard-compliant tests based on BDEW FGW TR3, IEC 62116, EN50530, UL1741 and Rule 21, TestSuite allows you to rigorously test your controller against any combination of these test, but to do it in house. Detailed reports, which are automatically generated for each test, allow you to fully optimize your controller for virtually any market and any operator. This way, when you send your converter to the official certification body, you can be confident that it will pass with flying colors. In short, every single element of our Software Toolchain is meant to make your job easier and your work more efficient: from drag-and-drop models and UI elements to standard-compliant tests, such as BDEW FGW TR3, IEC 62116 and EN50530, which can be run by a single mouse click. Typhoon HIL Software Toolchain is not a technological showcase or a trade show display product. It is a high-end, robust and flexible HIL system which is carefully designed to make actual everyday work of real power engineers easier, faster and, ultimately, more enjoyable. for those who like it slower (or faster) than real time. Want to verify your HIL models without the controller hardware? 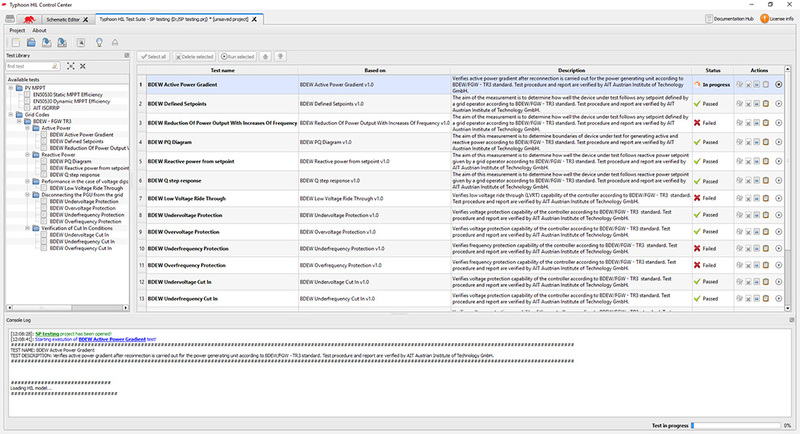 Want to try Typhoon HIL toolchain before you buy the HIL device? You are looking for a tool to help you teach a power electronics class? Eliminate the guesswork with Virtual HIL Device: the tool which offers you a way to harness the full power of Typhoon HIL signature software on your PC processor.